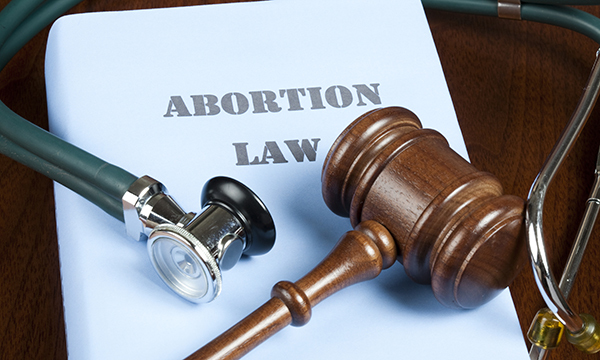 The law on abortion is an outmoded barrier to optimal care in medical abortions. It forces women to take matters into their own hands and deprives nurses of an opportunity to extend their skills, says the British Pregnancy Advisory Service's director of nursing. In November, the faculty of sexual and reproductive healthcare of the Royal College of Obstetricians and Gynaecologists became the latest medical body to declare its support for the decriminalisation of abortion, joining the Royal College of Midwives and the British Medical Association in doing so. The 1967 Abortion Act did not remove abortion from the underlying criminal law that made it an offence – punishable by life imprisonment – to induce a miscarriage. Rather it created exemptions to prosecution for women and care providers when two doctors confirmed that the individual met certain criteria. An abortion must be performed by a doctor in either an NHS hospital or authorised premises. This perhaps made sense in the late 1960s, when abortion was almost entirely surgical. But the law now prevents the best clinical care. Fifty years ago, no one could have imagined that abortion could be safely offered with medication. Early medical abortion, the method increasingly preferred by women, involves two sets of medications, mifepristone and misoprostol. In most countries – as recommended by the World Health Organization – women take the second medication at home, so they can plan the timing of the passing of the pregnancy. This option is denied to women in England and Wales. For some women the number of appointments they have to attend in a clinic is a barrier to ‎care. A paper published in the journal Contraception in September 2017 found that in a four-month period alone, more than 500 women sought abortion pills from one online provider. Reasons included distance from a clinic, domestic violence, work and childcare. The law puts obstacles in the way of optimal care and then threatens women with prosecution when they take matters into their own hands. It also prevents nurses and midwives from expanding their skills to support women. Nurses are unable to provide vacuum aspiration for the purpose of abortion, as they can to a woman needing treatment for a missed or incomplete miscarriage, and they cannot prescribe abortifacient medications. Decriminalisation would not mean changing existing time limits‎ – it could be applied solely to abortions up to 24 weeks, as proposed in a private members’ bill introduced in parliament last year. There is no evidence that later abortions increase when criminal sanctions are removed. Decriminalisation would not mean abortion would become deregulated, or that women would lose the opportunity to discuss their options. Abortion services have rigorous procedures for ensuring women are not put under pressure and have well-developed safeguarding protocols. These exist entirely independently of the 1967 act. As healthcare professionals we may have different views on abortion, on what we think is right, on what we might choose for ourselves. A decriminalised model of care must ensure that the right to conscientious objection is protected. But it would also provide an opportunity for nurses and midwives who choose a career in abortion care to develop their skills to the fullest extent and provide an optimal service to women in need.